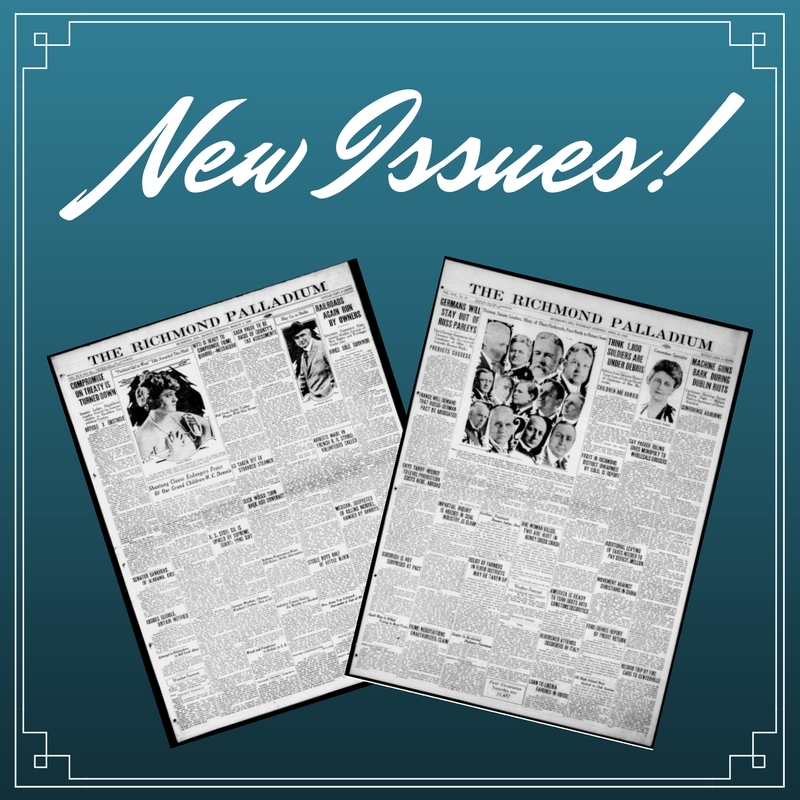 Another batch of issues has been added to Hoosier State Chronicles! Richmond Palladium [Weekly], January 1831-June 1837. Richmond Palladium [Daily], 1907-1910, April 1912-June 1912, October 1912-September 1913, and 1914-November 1915. This project has been assisted by a grant from the National Endowment for the Humanities. 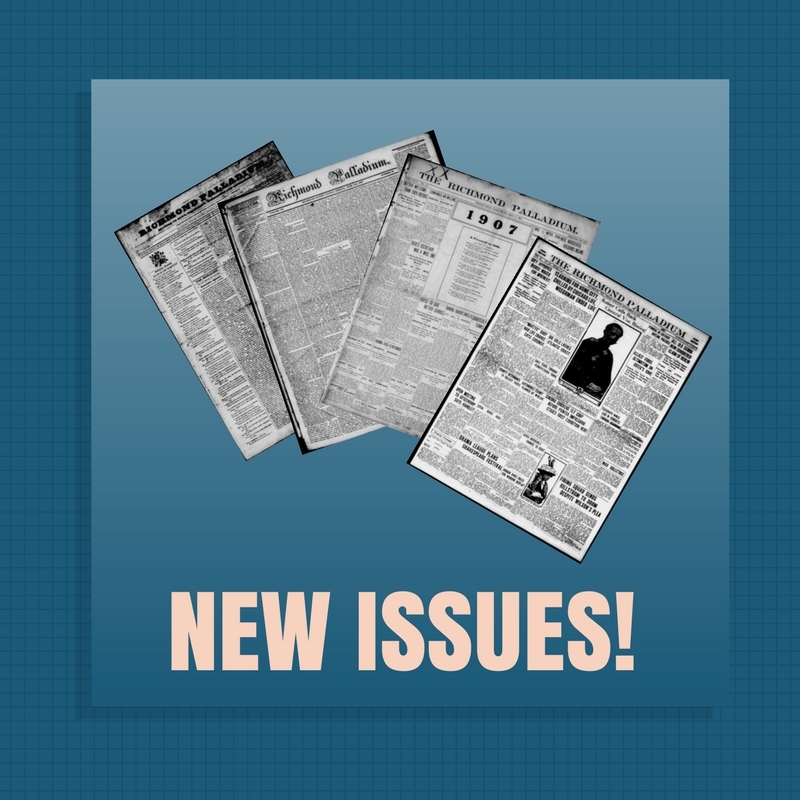 Another 10,000+ pages of Indiana newspapers have been added to The Library of Congress‘s Chronicling America, thanks to a grant from the National Endowment for the Humanities. Our total page count is now 268,827! Check them out here. 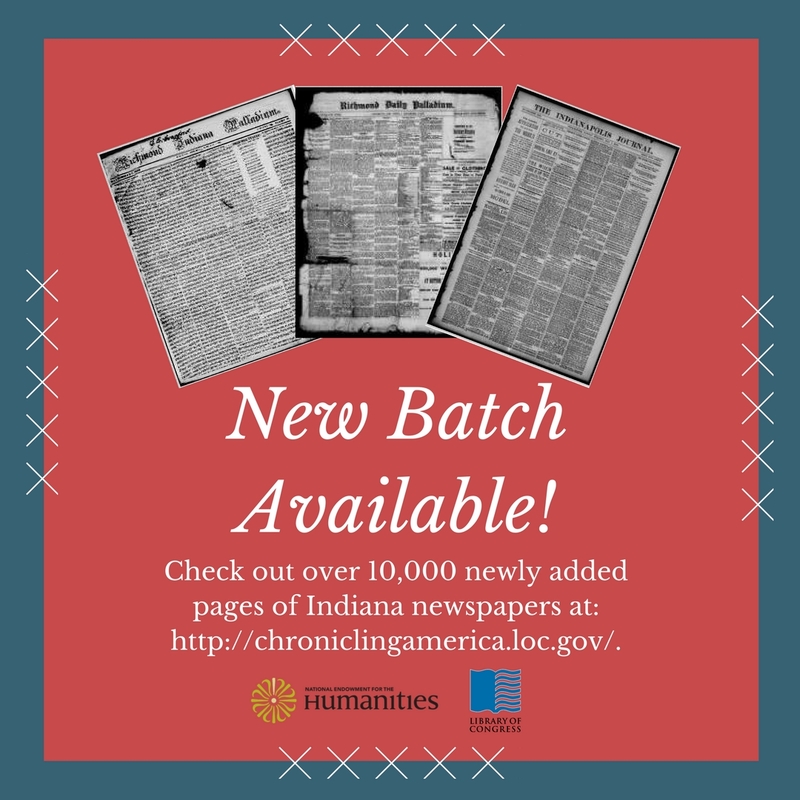 Another newspaper batch from Hoosier State Chronicles has been added to the Library of Congress’s national newspaper repository, Chronicling America. Our total page count is now 258,563! Check them all out here: http://bit.ly/2mF4b7r. Furthermore, Chronicling America’s total page count is now 11,687,970.